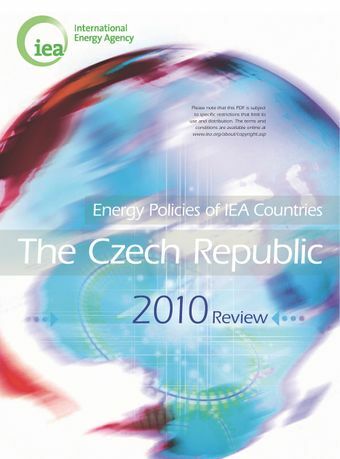 The International Energy Agency's 2010 review of the Czech Republic's energy policies and programmes. It analyses the energy challenges facing the Czech Republic and provides sectoral critiques and recommendations for further policy improvements. It is intended to help guide the country towards a more secure and sustainable energy future.It finds that the Czech Republic, rich in coal resources, is the third-largest electricity exporter in the European Union. The energy sector plays an important role for the country’s economy and for the regional energy security. Since the last IEA in-depth review in 2005, the Czech Republic has strengthened its energy policy, further liberalised its electricity and gas markets and made laudable efforts to enhance oil and gas security.The Czech government has a unique opportunity to develop coherent and balanced energy and climate strategies as it currently updates its policy documents. The draft State Energy Concept concentrates on energy security and on maintaining the Czech Republic as a net electricity exporter, through a diversified energy mix and a maximised use of indigenous resources, comprising coal, uranium and renewable energy.While the focus on energy security is praiseworthy, energy policy could be further improved. Energy policy should be better integrated with climate change considerations. At the same time, economic efficiency should be another key pillar of energy policy. To improve its energy security while reducing greenhouse gas emissions and enhancing economic development, the Czech Republic could take measures to: improve energy efficiency and broaden demand-side measures; focus on low-carbon technologies; integrate electricity and natural gas markets regionally; and optimise needed new infrastructure.